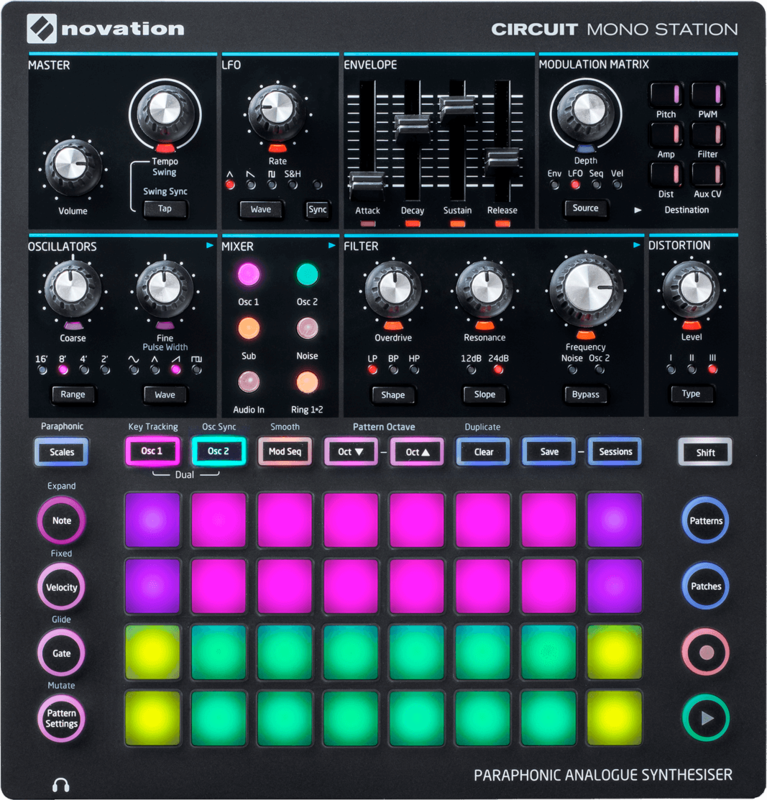 Featuring three types of analogue distortion effects, a really nasty ring modulator, a chunky sub-oscillator and step automation for all 53 parameters, Circuit Mono Station sounds bloody disgusting. 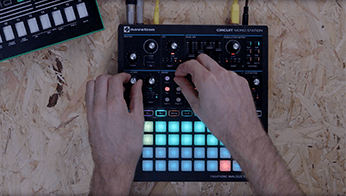 It’s an instrument that can be used as an experimental, polyrhythmic sound design tool – set apart with Bass Station II’s synth engine, reworked into a paraphonic form. 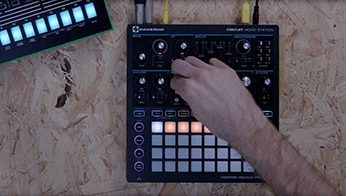 Sequences can benefit from longer LFOs staying in sync across several notes, perfect for making widely evolving musical phrases. 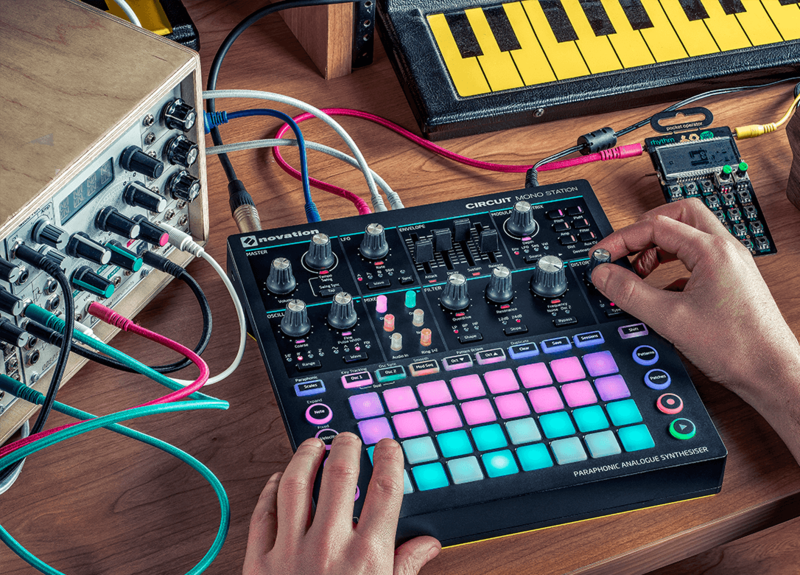 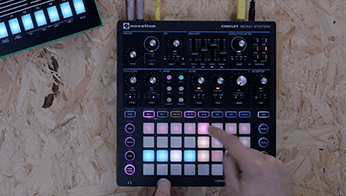 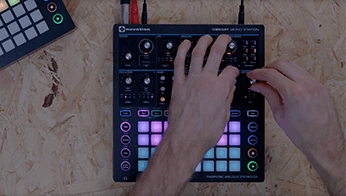 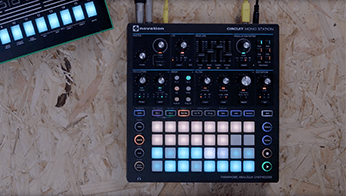 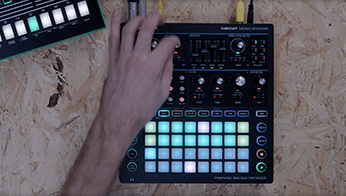 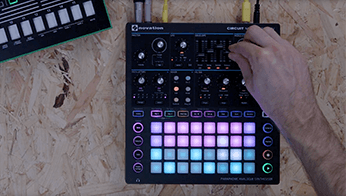 Having the same workflow as the Circuit sequencer and synth, Circuit Mono Station really is the potty-mouthed child of Novation. 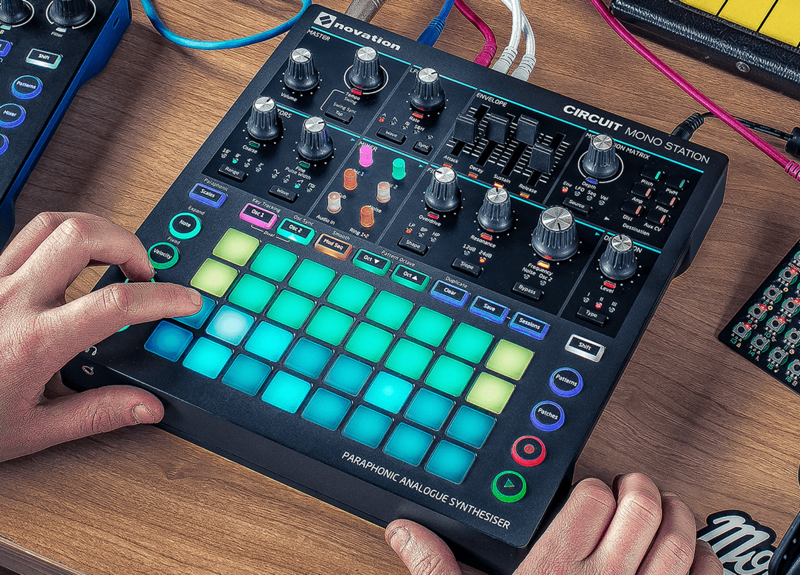 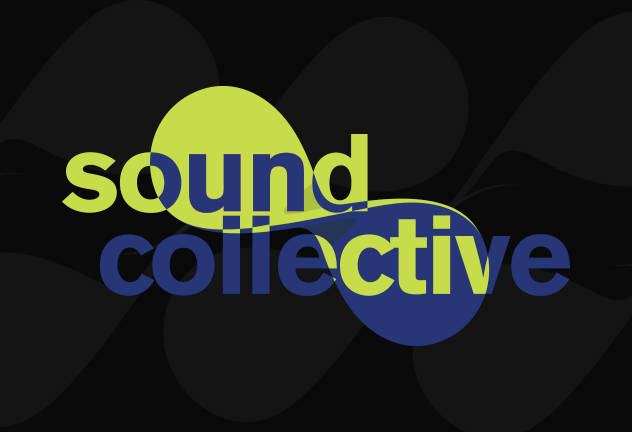 The Mod Seq, Swing Sync and a Mutate function are useful for happy accidents, and the AUX CV output can send complex modulation signals to the outside world. 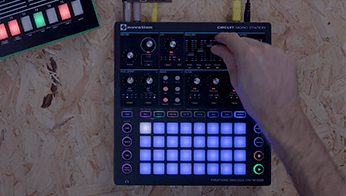 You can programme notes into the Mod Seq page to independently control your modular and CV gear with pitch and gate control via the CV/GATE output. 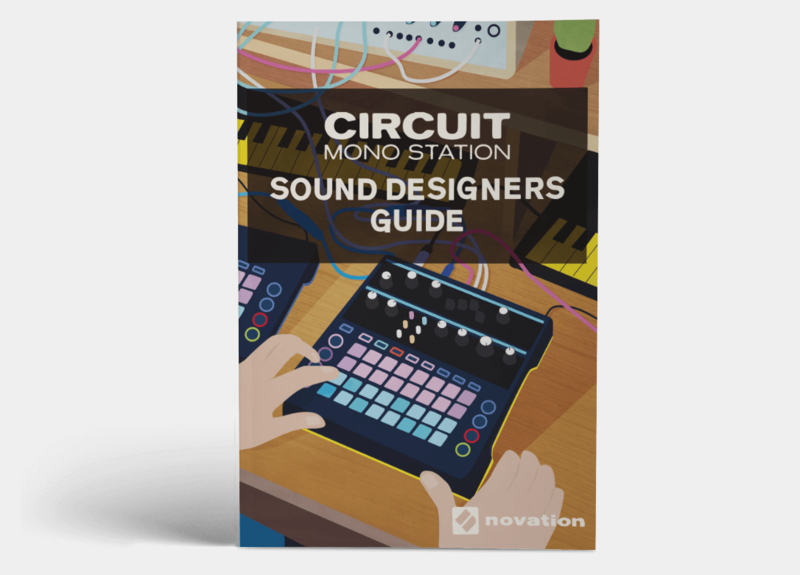 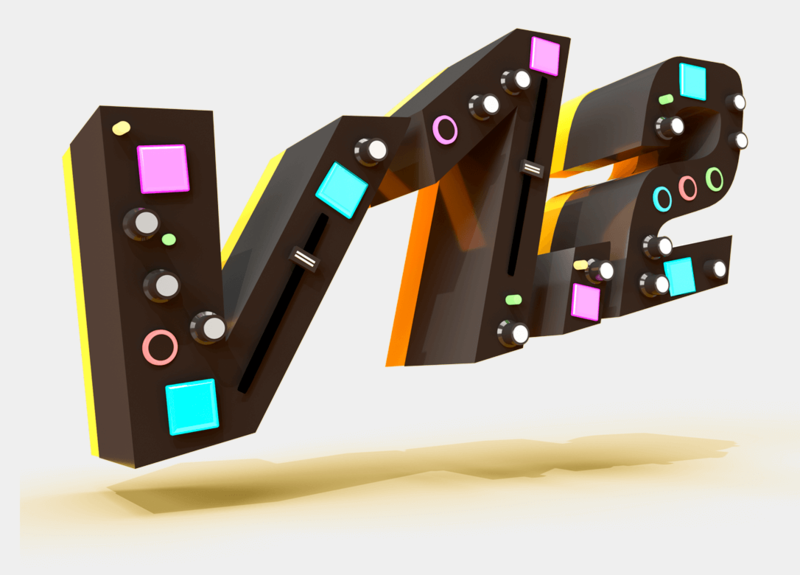 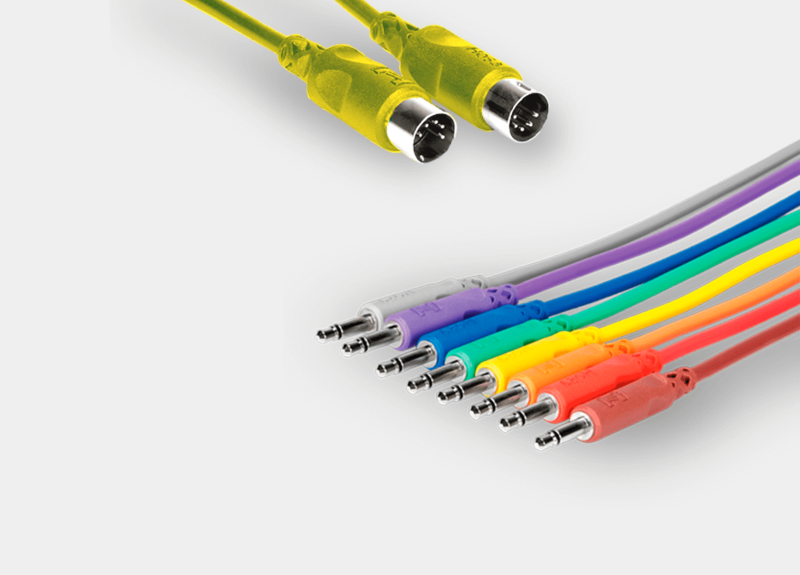 With USB MIDI, MIDI IN/OUT/THRU, CV and GATE connectors, Circuit Mono Station can get in the face of every piece of gear in its space. 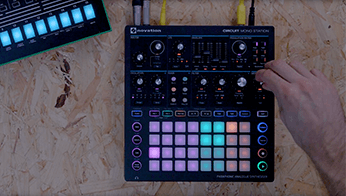 The recent Circuit Mono Station v1.2 upgrade comes biting at the heels of the v1.1 update, and it establishes an all-new sequencing structure optimised for unique sonic creativity and modular gear. 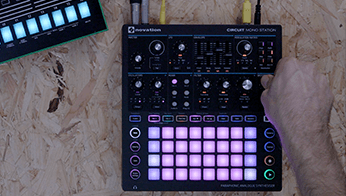 Circuit Mono Station continually evolves, never leaving you hungry for more.